Luke Fildes illustrated three plates for The Mystery of Edwin Drood before Dickens’s sudden death on June 9, 1870. On his own initiative, Fildes made three additional plates for the novel after Dickens’s death. 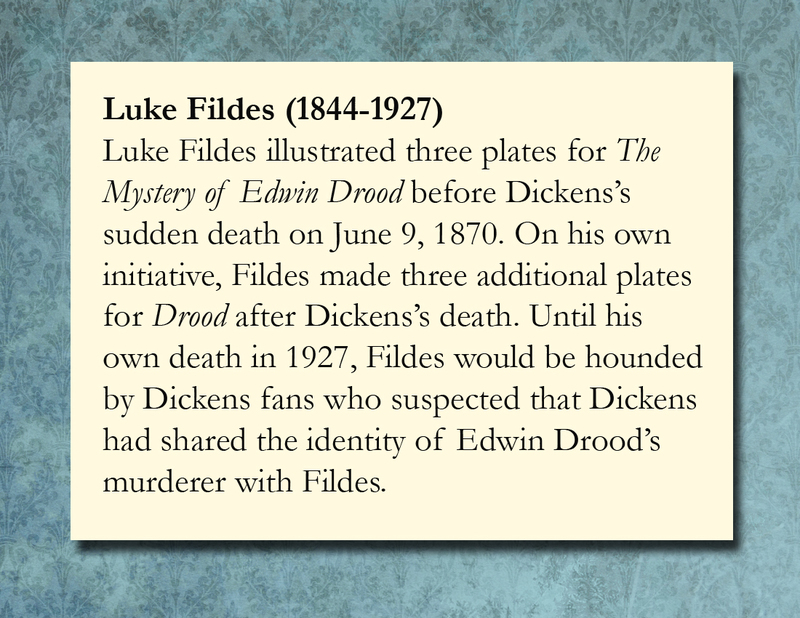 Based on his creation of those three additional plates, for the rest of his life Fildes would be hounded by Dickens fans who suspected that Dickens had shared the identity of Edwin Drood’s murderer with Fildes. The Mystery of Edwin Drood. At the Piano. Luke Fildes. 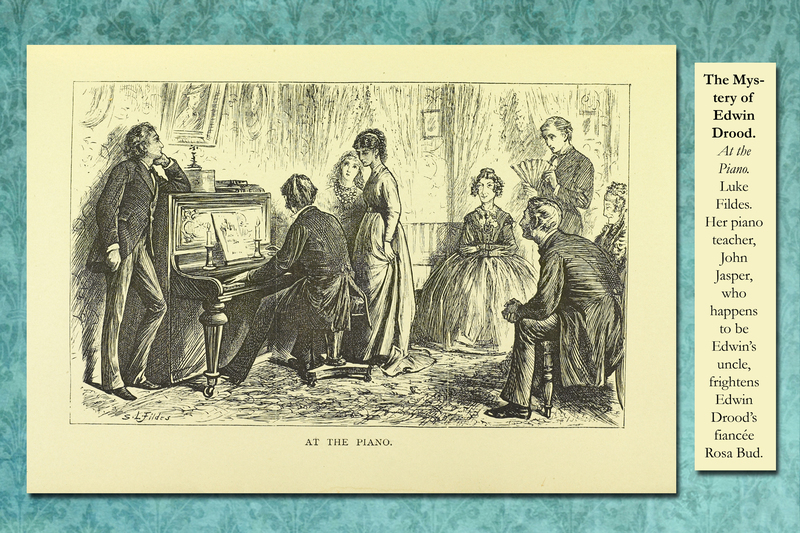 Her piano teacher, John Jasper, who happens to be Edwin’s uncle, frightens Edwin Drood’s fiancée Rosa Bud.